The failure of high voltage cable 3m will cause the m A table pointer to be full and skewed. Detection, the first put the ball in the anode and cathode high voltage connector, suspended in the air and high voltage cable 3m head cannot alignment metal can produce high voltage discharge, otherwise it is worth noting that the cathode must solve, after off if anode cathode unsolved, add high voltage anode filament light, electron bombardment will launch the anode target surface, anode target surface is punctured or partial melting. In 75 kv, 0  06 s under the condition of high voltage electric test, observation milliammeter presence of index, with partial confirmed cable breakdown, or from the high voltage generator will anode high voltage cable 3m, will take the ball measuring tube from the perspective of the exchange of gate, host selection to the perspective of a job. 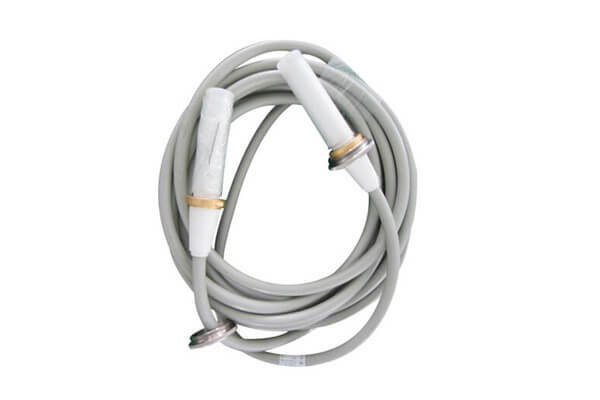 At this point, the cathode high voltage cable 3m can be detected. The kV chooses 45kV ~ 60kV, and press the exposure switch. If the milliampere is too large (> 30mA), the cable will be broken. When the above actions are repeated, several pile heads of the cable end should be discharged separately. Pull out the cathode cable and insert it into the anode cable to repeat the operation. When the cable is in good condition, finish the high voltage cable 3m and install it on the pipe sleeve. Newheek high voltage cable 3m is divided into several types to meet your different purchasing needs.